Happy Monday, everyone! (Happy because it's almost over. 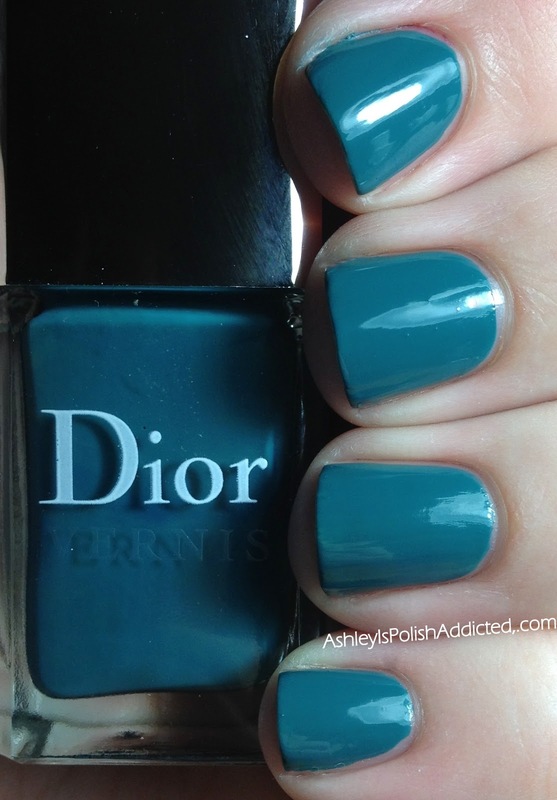 LOL) I have a quick "nail of the day" post for you today.The lovely Dior Nirvana! 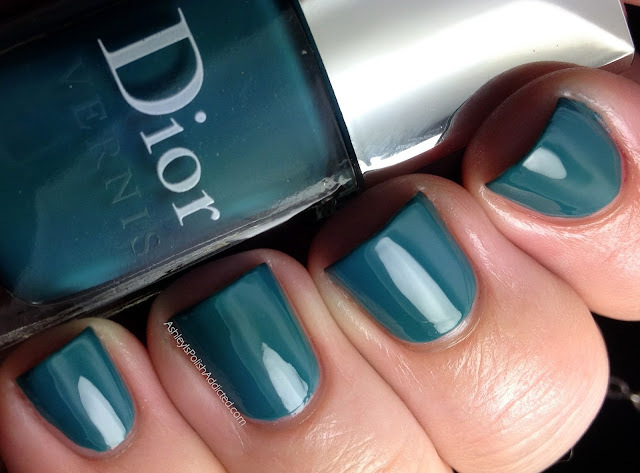 Nirvana is a dusty green-leaning teal with a perfect formula, as I've come to expect with Dior. The photo above is with one coat of top coat but the two below are without top coat. 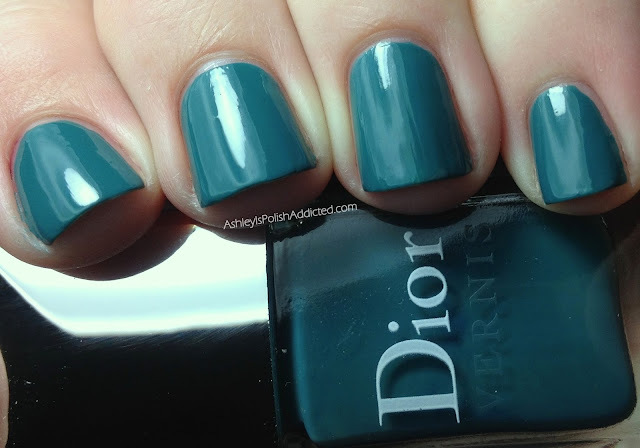 This is an older color but can still be found on Dior.com and Sephora.com. Will you be getting it while you can? Such a lovely polish and it looks great on you! Ooh, I love shades like this one!! Beautiful! What a pretty color, I love the slightly dusty quality to it.